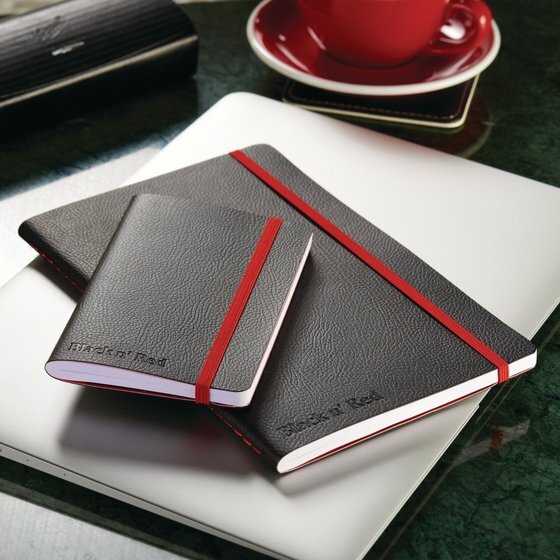 Depend on Black n’ Red for your professional notetaking needs. 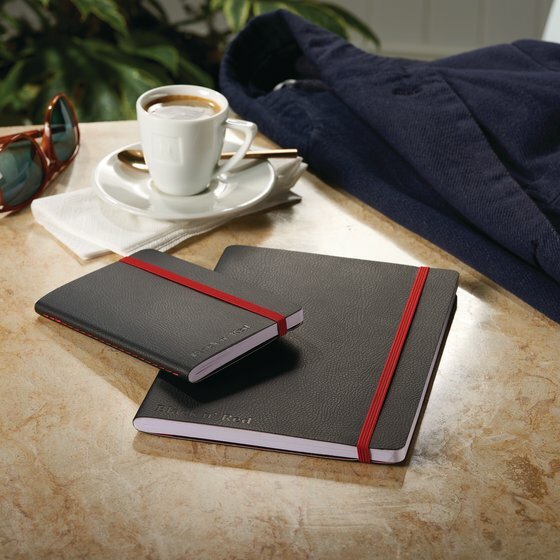 Business journal features smooth and crisp Optik Paper, stitched binding and a flexible soft cover. 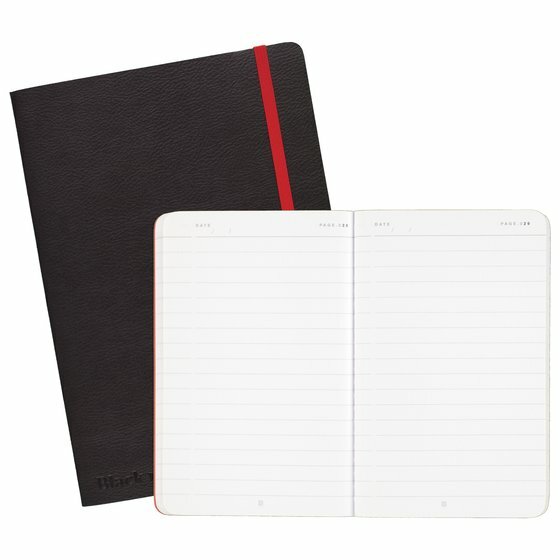 This A5 business journal includes 71 double sided 8 1/4" x 5 3/4" sheets, for a total of 142 notetaking pages. 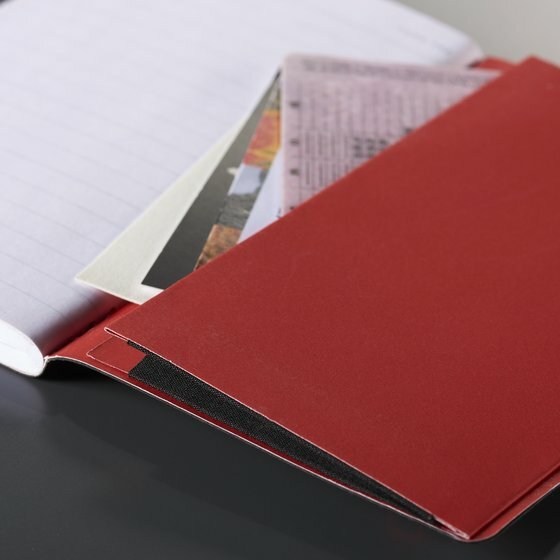 Stitched binding offers a smooth spine to easily slip journal into a briefcase or purse. 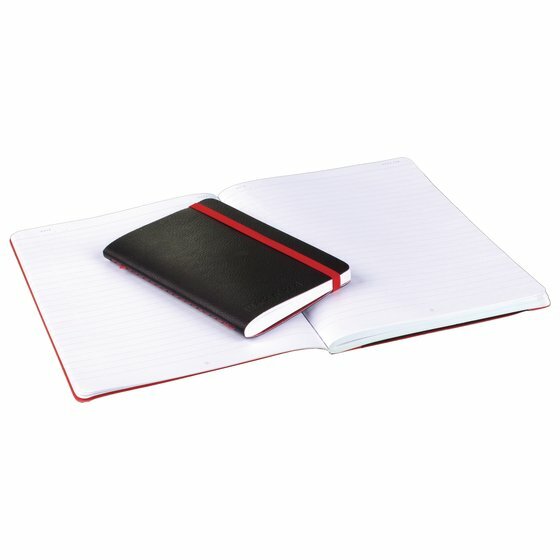 Journal lies flat when open. Features numbered pages, blank date headers on each page, a black ribbon page marker, an expanding pocket for loose papers and bungee closure. Dimensions: 3/8" x 5 7/8" x 8 3/8"
Crafted using only selected quality materials Black n’ Red is an upscale business journal. 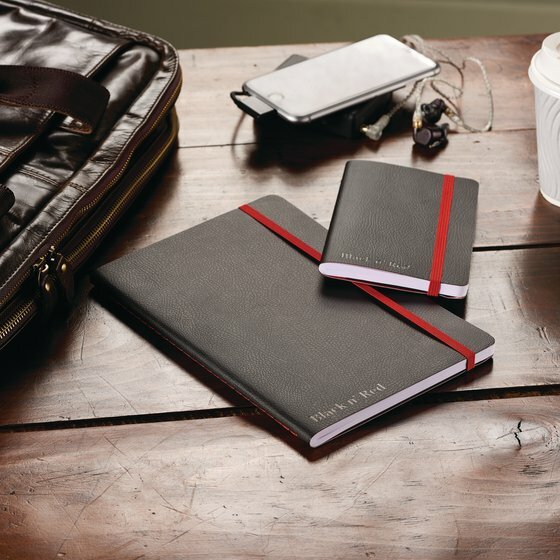 The cover is soft with a textured feel and has a bungee closure to protect your notes while you are on the go. High-white, Optik Paper™ is smooth and crisp and minimizes ink from bleeding through for clear notes on both sides of the page. 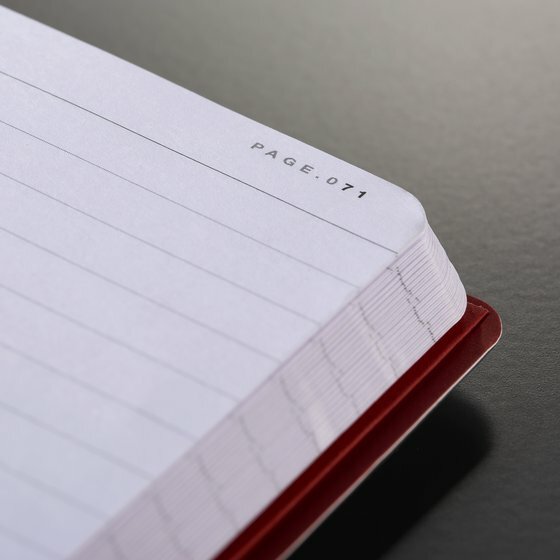 This business journal has ruled, individually numbered pages to help you organize your notes. 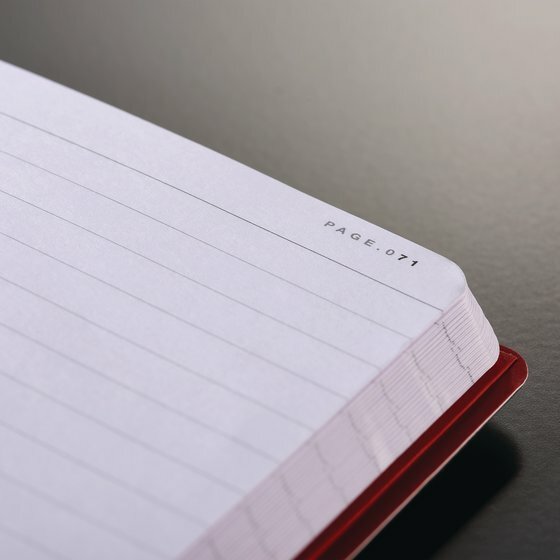 A Contents page in the front is great for recording specific topics and page numbers so that you can easily find and refer back to notes later. 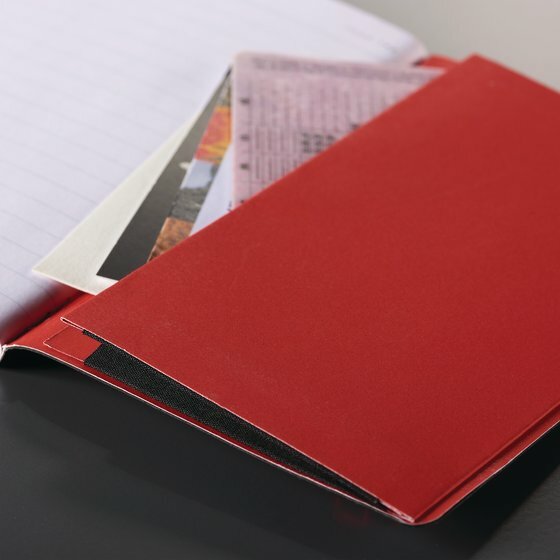 A gusseted in the back of the journal keeps loose papers neatly tucked away and is a great place to stash business cards or presentation notes. 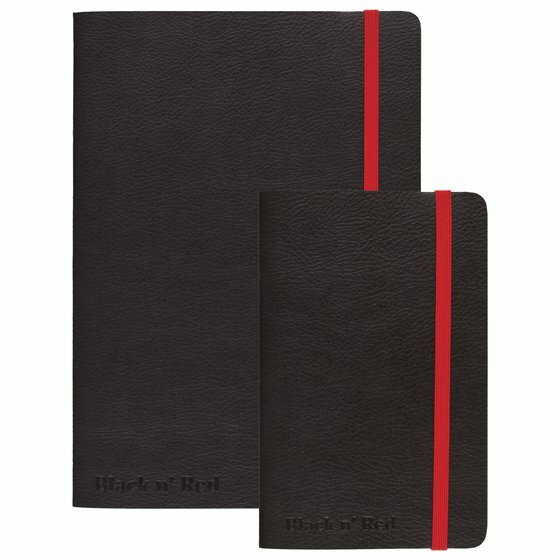 Premium business journal covers are black on the outside with red color on the inside. The binding is stitched with red thread, and the bungee closure is also red for just the right amount of contrast. 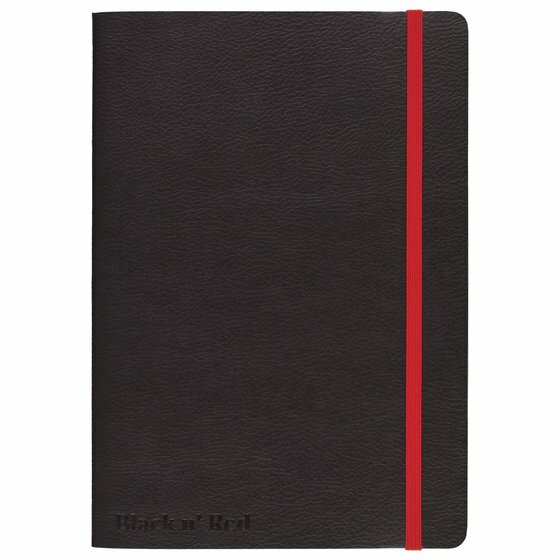 The Black n’ Red journal is flexible with a sleek profile, perfect for the workplace.